It’s a good sign that after the Guild Wars 2 beta weekend the nitpicks I have are minor when compared to other beta’s I’ve participated in. In SWTOR I rolled my eyes every time I entered another copy of “generic cave layout 1”. In The secret world the combat felt loose and the quests repetitive. 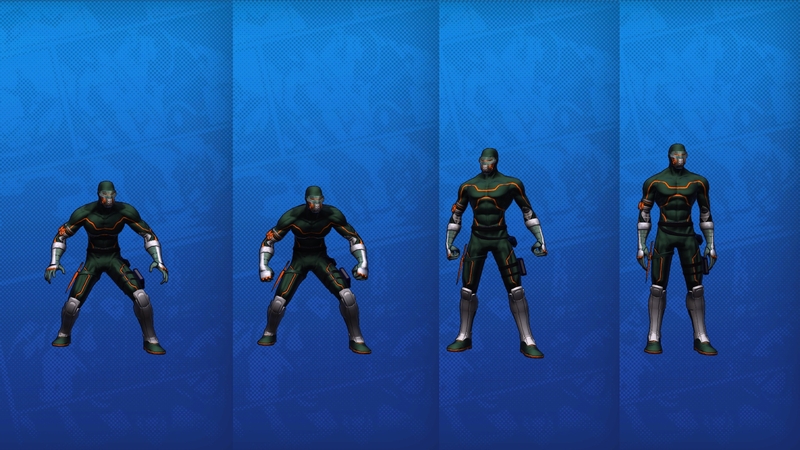 Champions Online had a confusing attribute and gear system. While those game did improve over time I was amazed that GW2 felt so functional. One of the few nitpicks I did have with GW2 however was the human appearance options. Don’t get me wrong the models and art quality are incredible, but it is widely agreed that human and norn bodies resemble models from underwear adds. I know this is in line with the idealized art style with which ANet is designing the two races, but it does result in some odd character designs. The pirate queen in lions arch is a perfect example of a character that probably shouldn’t look like a tall fifteen year old beauty queen, but does. The simplest way to change this would be to build a complexion or age slider into the character creator. As you aged a character their face would gain wrinkles perhaps becoming gaunter as well. This doesn’t have to be exceptionally complex either, four complexions including teen, adult, mature and elder would do the trick. The problem with this is that not everyone looks at faces and many characters wear helmets. Additionally adding aging to faces does nothing to diversify body types in the game. Diverse body types come with their own set of issues, most often manifested through clipping and texture distortion. Clipping occurs when two pieces of in game geometry intersect in an unnatural way; such as long hair passing magically through a collar or spikes on a shoulder-pad impaling the character’s face. Texture distortion is caused by increasing the area a texture covers without increasing the resolution of the texture or causing it to tile. The deformed characters in AION are textbook examples of the graphical issues that crop up with unchecked body types. Simply adding a fat body type may seem like a reasonable compromise, but even that would require Arena Net to go through and vet all of the armors that fat characters could wear. A considerable amount of armor art especially those with straps, buttons, chain mail and metal plates would have to be reworked. The amount of effort ANet would have to expend on adjusting art assets far outweighs the gains. An alternative to ANet adding body types is stances. Gamers who have played Champions Online, Star Trek online and DC Universe Online should be familiar with stance animations. Stances alter the idle and occasionally the movement animations of the character. One stance may make the character stand at their full height with their shoulders thrown back and their chest puffed out proudly, while another stance causes the character to hunch over and appear sickly or weak. Stances, like body types can cause clipping and texture distortion, but is generally less noticeable since that surface area of the character hasn’t changed. The advantage of stances over body types is that almost every player will take advantage of them. A stance will be noticed long before a character’s face is. This allows players to express themselves and their character’s personality in a way that is immediately recognizable in the open world. Stances could even be tied to professions or character personalities; old human necromancer stance anyone? They could be used to bring back the upright Charr from GW1 and how hilarious would a flirty Asura stance be? New human female body types were added in the stress test, no idea on male. I wish I’d taken screen shots, but they do have stockier builds now…or at least they did then. I guess we’ll see this Friday. And like you said, they can only do so much without clipping and other issues. There’s not a lot of variance among the other races, either. The stance idea is interesting. My charr is a tad slouchier than I would prefer. I don’t want her rod-straight, but more feline and less oafish would be nice. And it is a shame that professions no longer have their own stances, though I might have played a necro more if not for the posture. Still, it suited the profession well.